We provide solutions for cutting-edge toolholding. REGO-FIX products excel with extraordinary reliability and outstanding quality. We serve customers in fast-paced industries with the highest demands for precision. Achieve toolholding excellence with carefully matched REGO-FIX components. Our toolholding systems components are carefully matched for optimum fit and accuracy. We know how to minimize tool runout and boost productivity. 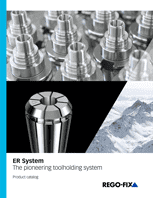 This is why our toolholders are designed to fit the ambitious demands from industry leaders. Improve the long-life cycle of your product with high-quality REGO-FIX accessories. 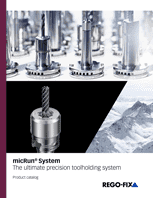 Our Multi Line products cover a broad range of toolholding needs.